and back width of roof rail is different, So you need to inform me the front width of roof rail and back width of roof rail. 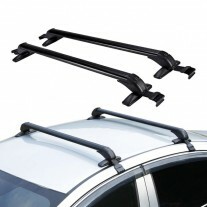 our warehouse to check if the roof rack is fit to your car. 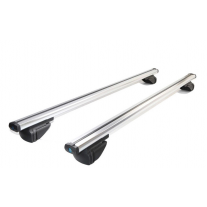 Roof Rack For Flush Roof Rail Aluminum alloy universal roof rack, It is suitable for all SUV cars and vehicles with flush roof rails Can be installed bike rack, roof box, ski rack, boat rack Multiple Size ranging from 90 cm-114 cm Each one is adjustable to extend by 4 cm width 7.5cm Capacity 150kg After you buy now, please inform me the width of roof rail, front width, and back width of roof rail is different, So you need to inform me the front width of roof rail and back width of roof rail. 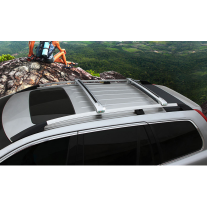 No anyone roof rack can fit all car, So if it is possible, you can come to our warehouse to check if the roof rack is fit to your car.